Barça's 3-0 victory in the last 32 tie of the UEFA Women's Champions League gives the Catalans a comfortable advantage ahead of the return leg. The away victory in Minsk put Xavi Llorens' team in an enviable position to guarantee safe passage to the next round. In spite of this, the team is not relaxing and both Llorens and Barça's centre-back, Ruth Garcia, have warned the team against taking their foot off the gas. The coach is looking for a positive result, whilst also rotating his players: "We have a short turnaround and we need to make the most of the depth of our squad." 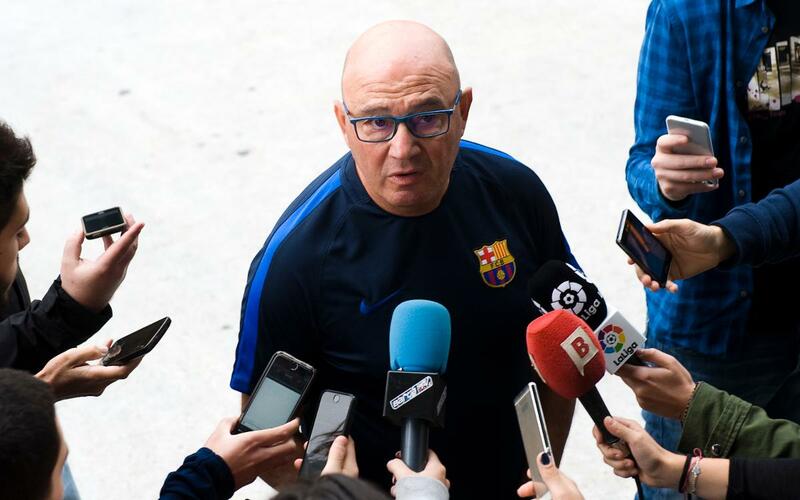 However, the Barça coach doesn't want these planned changes to affect his side and stressed the importance of not being "over-confident in the return leg." The league match against Zaragoza on Sunday is a clear example of how challenging and difficult every game is in all competitions. Llorens believes that "we need to be ready as one of these days we are going to lose." The team are unbeaten and haven't even conceded a goal so far. Ruth Garcia spoke of the positive feeling following the first leg and the desire to play well in the return game. The centre-back reiterated her coaches' message and believes "any player can have a positive impact as we have a large and competitive squad." The game will be played at the Miniestadi and coincides with a national holiday this Wednesday at 5pm CET. The players are hoping for a good crowd for this European game: "We hope people come to the Miniestadi and enjoy our football."